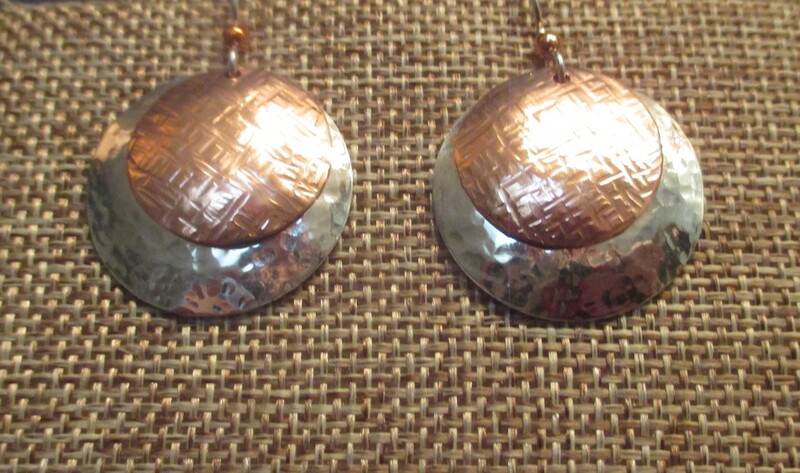 The earrings have a hammered 1" sterling silver disc with a 3/4" hammered copper disc in a hammered texture design. The photo is picking up some reflections, but they are all sterling silver. They are on sterling silver ear wires with a tiny copper bead as an accent.